Click thumbnails to expand images. 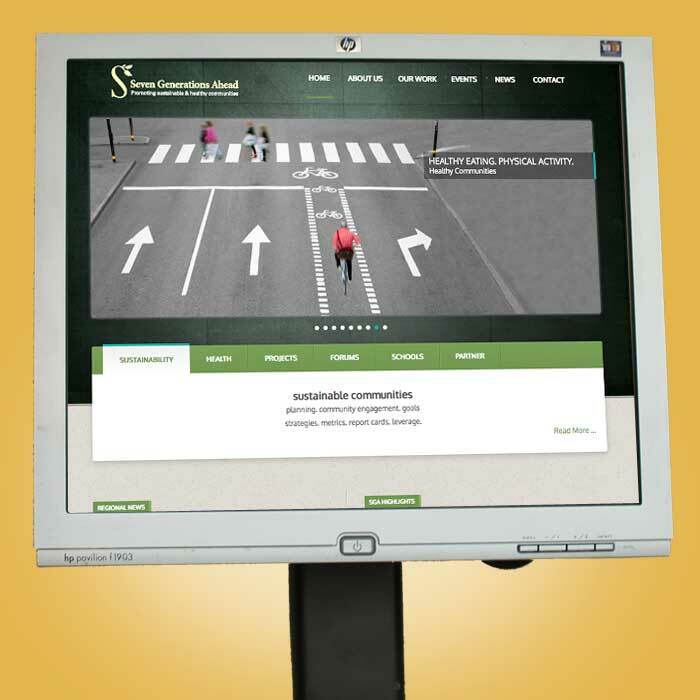 WebTrax provided Seven Generations ahead with website design services. Seven Generations Ahead (SGA) is a non-profit organization whose work ranges from creating curricula and conducting educational programs for young school children, to co-hosting regional conferences for public and private sector leaders, to partnering with a popular summertime festival to promote composting. 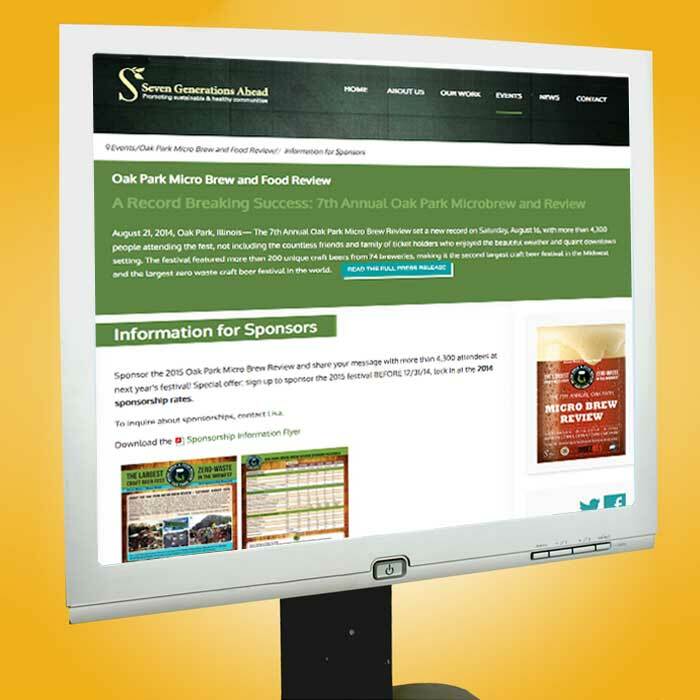 SGA promotes programs and initiatives to support ecologically sustainable and healthy communities in collaboration with a variety of government, community and business partners. 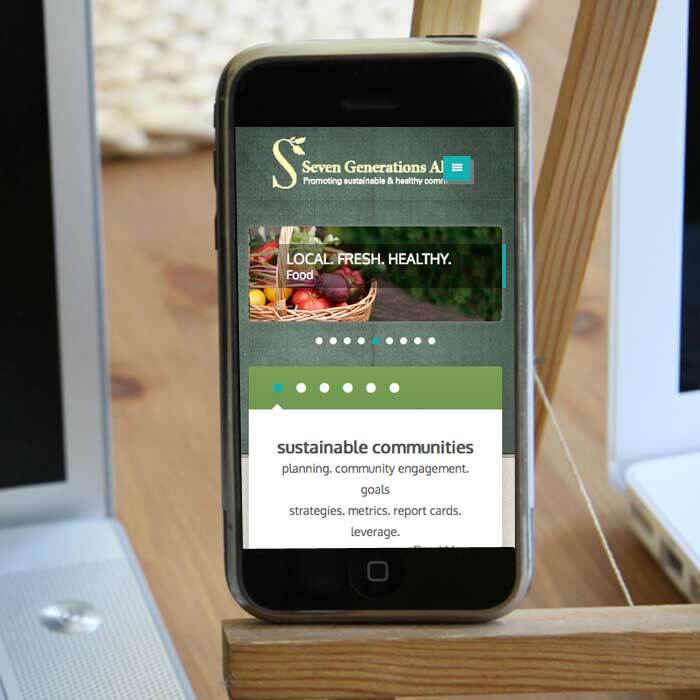 Seven Generations Ahead staff had become frustrated with how difficult their former website was to update and customize for new content. SGA sought to present their diverse projects while keeping their design crisp, clean and simple to navigate. WebTrax successfully employed the flexible and powerful Joomla! CMS to meet these goals in a website redesign in which the leadership of SGA played an integral role, contributing content and design concepts throughout the process. 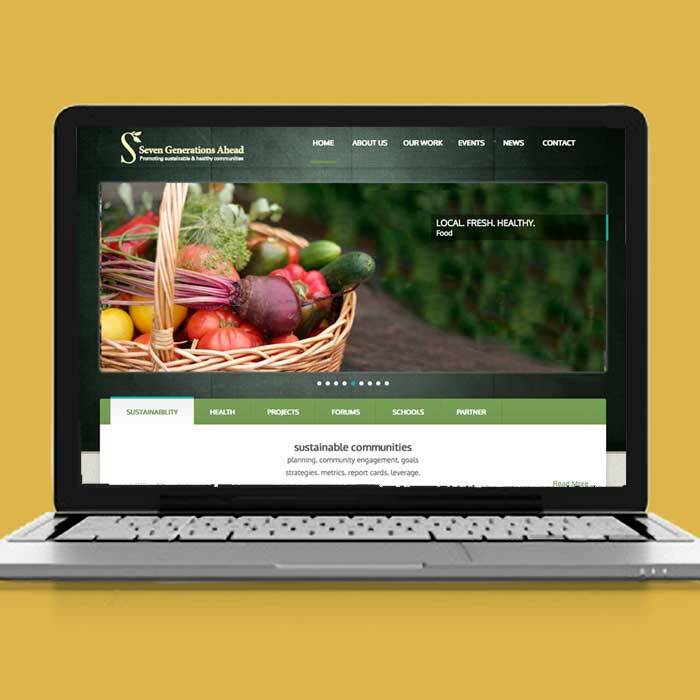 By the time the website launched in 2014, the SGA staff had mastered adding content on their own, adding text, images and video easily and efficiently to their carefully constructed content hierarchy. Read more about our website design services. View more of our case studies.